(St. Charles, MO) – Anyone who follows the news in our state is aware that Republicans have a four-way race for their nomination in the race for Governor. Even Democrats might be surprised to hear that they have more than one choice in that race on Primary Election day. While Attorney General Chris Koster is considered the all-but-certain nominee by the media, political activists and insiders, Eric Morrison wants voters to learn about him before making a final decision for their ballot. 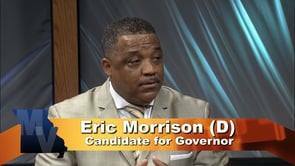 Morrison is a pastor and activist in Kansas City. He’s among the candidates aligning with Presidential candidate Bernie Sanders in Democratic politics. This week, he makes his case for his campaign to Democratic voters. 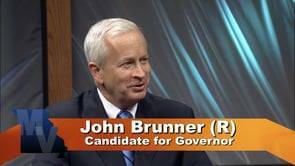 John Brunner is in a tough four-way contest for the GOP nomination for Governor. The former Marine and retired manufacturing CEO explains his viewpoints and vision for the state if he’s elected.